Rydges Sydney Central, 28 Albion St, Surry Hills, Sydney 2010. More details on training and programme soon. Please note that the cut-off date for delegates to book the discounted rate will be by COB 26th of September, all unreserved/unsold rooms will be released back to the system. Any guest who would like to book after this date will be offered the Best Available Rate at the time of reservation, subject to availability. Please ask delegates to quote Block ID 657506, all guests must provide a credit card to secure the bookings and they will pay on arrival unless other arrangements have been made by the guest. Any bookings made through a third party or online will not be entitled to the special rate, only bookings made by email or phone directly with the hotel. 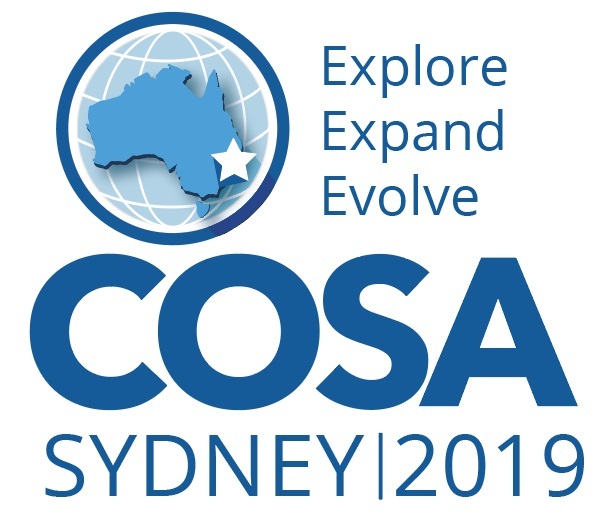 Call for presentations - COSA 2019 needs YOU! Have you done something interesting in your library with your SirsiDynix software? Have you found a creative way around a problem, or tried something that worked really well? Have your patrons responded positively to a development in your library processes, your website or your catalogue? Do you have something else related to brag about? Then join us in Sydney this October, 2019 and get a discount on registration fee when you tell us about it! The COSA Committee is looking for presentations from libraries using SirsiDynix products, but remember: you don't have to present by yourself. Think you can't talk for a full session? Partner with another librarian/library or even a vendor you worked with on the project, and talk for half as long! Sessions are usually only 30 mins long. This year, we're also looking to hear from people who use Google Analytics, or have System Administration Tips and Tricks to share. Please let the Committee know if you are prepared to join in with any of these topics or something completely different, so we can plan the program. Is your library a member of COSA? Membership is open to any site that is a current customer of SirsiDynix, and who is located in Australia, New Zealand or the Asia Pacific region.